JE Pistons – an industry leader in high-performance forged and billet racing pistons – has crafted a unique relationship with Formula DRIFT and will launch a new technical video segment that will air during the series’ livestream broadcasts. 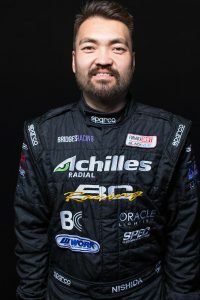 Former Formula DRIFT driver Robbie Nishida will host two JE Pistons sponsored technical segments during each of the nine livestream broadcasts. The videos are designed to educate viewers on everything from the art of drifting to making power under the hood, chassis setup, and more. Each video can be viewed during the Formula DRIFT livestream and will be available post-race via the series’ social media channels. Entering its 15th season, Formula DRIFT is recognized as North America’s premier professional drifting championship series. As the first organization of its kind in North America, Formula DRIFT has taken competitive motorsports to the extreme, attracting fans and car enthusiasts from all walks of life. Competitors are judged on execution and style, rather than who finishes in the fastest time. As a result, drifting is a guaranteed crowd pleaser and is often compared to the freestyle nature of skateboarding and motocross. JE Pistons are must-have components for the most successful Formula DRIFT competitors dating back to the series’ inception in 2004. JE has powered more Formula Drift champions than any other piston brand, with a roster including three-time champion Chris Forsberg, 2007-2008 back-to-back titlist Tanner Faust, 2011 champion Daijiro Yosihara, 2016 champion Fredric Aasbo, and more.